With the holidays comes desserts. Good desserts. Desserts that aren’t good for you (or me at least). So here’s another awesome one I found on the Kraft website under Healthy Cooking. Now if you look at their picture and compare it to mine…..well mine does not look quite like that at all. In fact, I’m not sure how they get those photos to look the way they do. I’m certain they are pictures of fake food (or I just can’t take pictures – at all – which is pretty true). But since I love to eat. Love to blog what I eat. And like to make desserts that I can’t ruin, then I’m satisfied with what you see. This is a make over from the true version they have on their site as well. 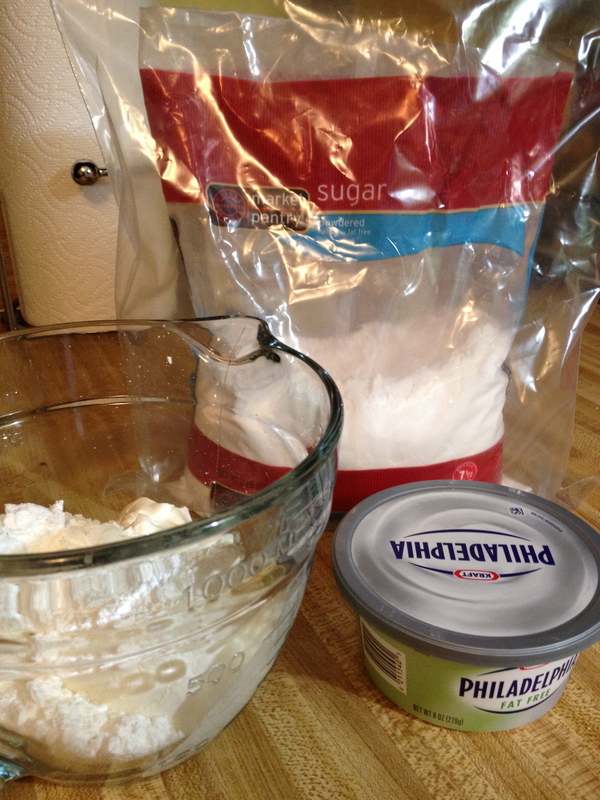 Using all low fat and sugar free items (excluding the powder sugar). 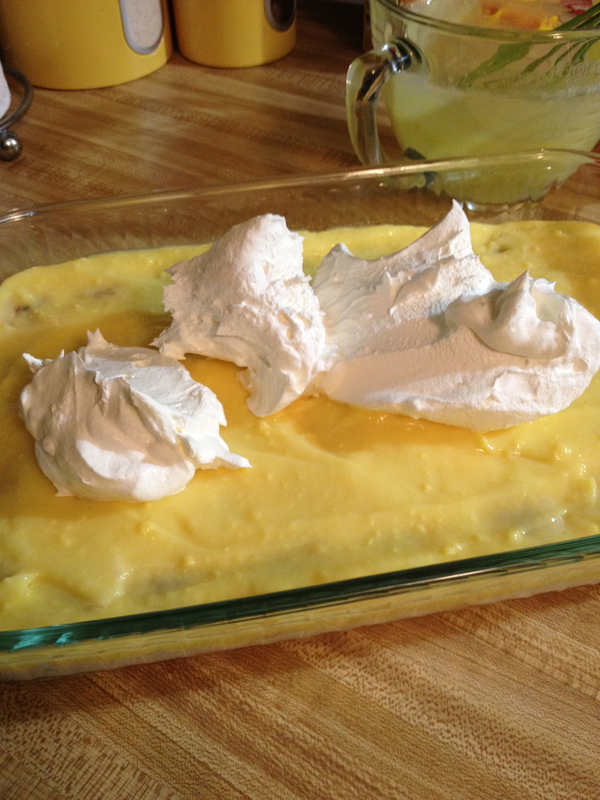 MIX wafer crumbs and margarine; press onto bottom of 13×9-inch dish. Refrigerate until ready to use. 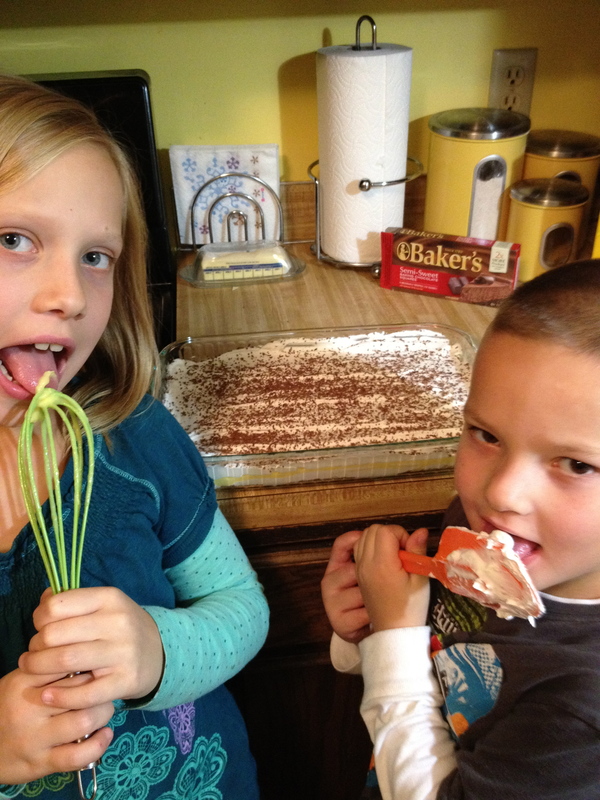 The kids enjoyed licking the spatula and the whisk!!! They had to get their fun in too! Stir remaining COOL WHIP gently in tub until creamy; spoon small dollops over dessert. Use small metal spatula to spread COOL WHIP over dessert. Line dish with foil before using, with ends of foil extending over sides of dish. Use foil handles to remove chilled dessert from dish before cutting to serve. We’ve made over this favorite dessert to save you 80 calories and 13 g of fat per serving compared to the traditional recipe. 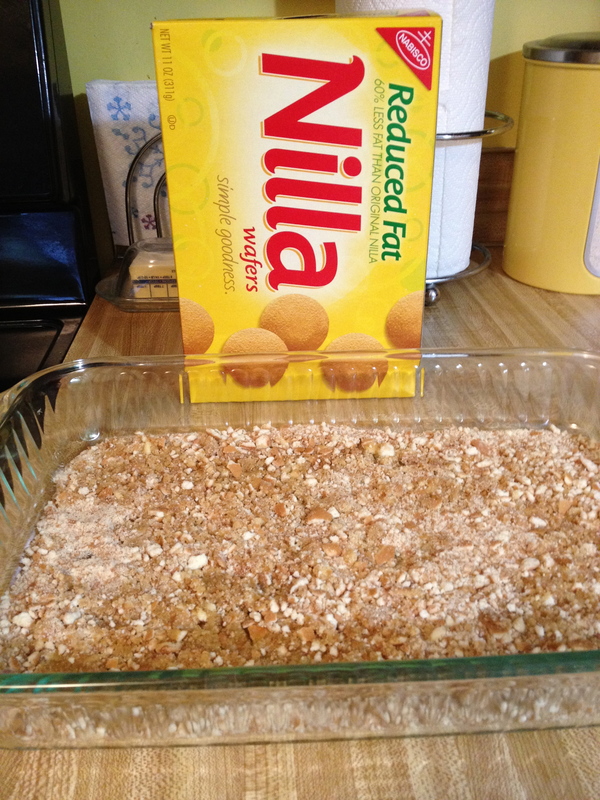 We used Reduced Fat NILLA Wafers and margarine instead of flour, butter and peanuts for the crust. In addition, we cut the amount of sugar and chocolate in half and used better-for-you products in the creamy layers. These simple changes result in a great-tasting dessert that can save you both fat and calories. I just told Craig that this dessert was made with all sugar and fat free items. He had the biggest smile on his face. Why? Because he had no clue!! It tastes just as good even without the added fat and sugar. This great-tasting dessert is made with better-for-you products and can fit into your overall healthful eating plan. Enjoy this because you can. And I did. I had a piece of pie yesterday for Thanksgiving dinner that was just as good as twice as high in calories and fat. Give this one a try as well. It won’t disappoint.